Clear Nail Laser Clinics is committed to protecting your privacy and any personal information we collect. Clear Nail Laser Clinics complies with the Privacy Act 1988 (Cth). This policy explains how we may collect, use, disclose and otherwise handle personal and sensitive information. Clear Nail Laser Clinics is committed to safeguarding personal privacy. It recognises that individuals have a right to control how their personal information is collected and used. Providing personal information is an act of trust and it is taken seriously. Unless given consent to do otherwise, Clear Nail Laser Clinics will only collect and use personal information as set out below. Clear Nail Laser Clinics will not collect or monitor any personal information about an individual without their consent. The only personal information collected is what is provided voluntarily by a client or prospective client. We collect personal information primarily to enable us to provide clients with our services. Clear Nail Laser Clinics may also use the information for marketing to you or for any other purpose permitted under the Privacy Act 1988 (Cth). When a treatment or product is purchased, personal information will be requested in order to provide the requested treatment or product. You are not obligated to provide personal information however failure to do so may result in Clear Nail Laser Clinics being unable to provide services or products to you. Personal information is collected directly from clients or potential future clients when they personally complete and submit a client intake form. Clear Nail Laser Clinics may use tracking technologies such as cookies or web beacons to make use of the website and services as conveniently as possible. Cookies are pieces of information that a website transfers to a computer’s hard disk for record keeping purposes. Most web browsers are set to accept tracking technologies such as cookies. These tracking technologies do not themselves personally identify users, although they do identify a user’s browser. 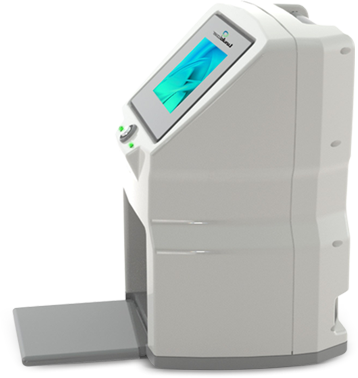 These tracking technologies allow Clear Nail Laser Clinics to monitor the Clear Nail Laser Clinics website and to record how many people are using the different parts of the site. It is possible to set the browser to refuse tracking technologies such as cookies or web beacons, however, this may limit the services provided by Clear Nail Laser Clinics’s website. Clear Nail Laser Clinics may employ other companies or service providers to assist us in providing our services, including (but not limited to) marketing, market research, mail-house services, hosting and product development services, analysis of client lists and/ or consulting services. These third parties may have access to personal information that is needed to perform their specific function. They cannot use that information for other purposes. Clear Nail Laser Clinics recognise the trust with which individuals provide personal information, and such information will not be used or disclosed for any other purposes without consent, except in exceptional cases when disclosure may be required by law or is necessary to protect the rights or property of Clear Nail Laser Clinics, any Clear Nail Laser Clinics group company, or any member of the public, or to lessen a serious threat to a person’s health or safety. Clear Nail Laser Clinics does not send advertising information without obtaining prior consent. If an individual receives communications from Clear Nail Laser Clinics which they do not wish to receive, they may remove their name from the marketing database by contacting Clear Nail Laser Clinics via the contact page on the website. Individuals have the right to review personal and/or sensitive Information that may be recorded on the Clear Nail Laser Clinics database. Information may be reviewed by submitting a written request for such access to your local clinic. A request may be made to delete or amend personal and/or sensitive information, and all reasonable steps to delete the information will be made, except where it is required for legal reasons, which includes but is not limited to the proper maintenance of medical and health records. Deletion or amendment of information may result in Clear Nail Laser Clinics being unable to sell products directly and/or provide certain services including after sales services. Clear Nail Laser Clinics takes all reasonable steps to keep secure personal information recorded and to keep this information accurate and up to date. The personal information is stored on secure servers if in digital format, including on servers located in the United States, or in locked areas if in hard copy format: these are protected in controlled facilities. Clear Nail Laser Clinics employees and data processors are obliged to respect the confidentiality of any personal and/or sensitive information held by Clear Nail Laser Clinics. Clear Nail Laser Clinics only permits authorised personnel to access your information and information will only be disclosed to third parties where they have the appropriate authority. We destroy or de-identify personal information we no longer need or we are no longer required by law to keep, wherever possible. Clear Nail Laser Clinics provides links to websites outside of the Clear Nail Laser Clinics site. These linked sites are not under the control of Clear Nail Laser Clinics, and Clear Nail Laser Clinics is not responsible for the conduct of companies linked to the Clear Nail Laser Clinics website, or for the performance or otherwise of any content and/or software contained in such external websites.